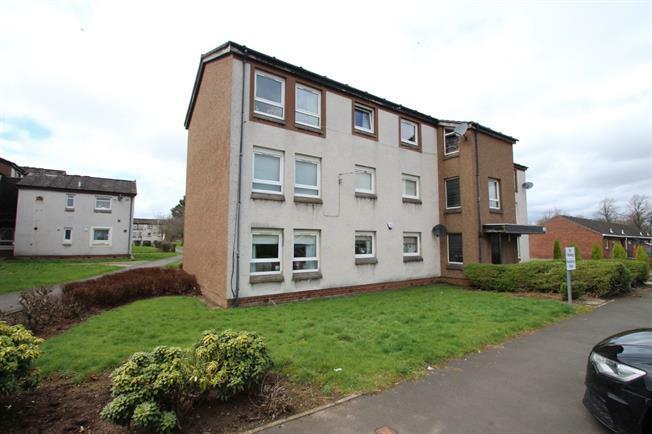 2 Bedroom Upper Floor Flat For Sale in Hamilton for Offers Over £68,500. Set on the preferred first floor this spacious flat offers a pleasing arrangement of apartments and attractive open views. The accommodation includes welcoming entrance hall with box room storage, sizeable lounge, separate dining room, fitted kitchen, two double bedrooms and stylish re-fitted shower room with four piece suite including shower cubicle. The specification includes double glazing, gas central heating and security entry system. This popular development is ideally placed for easy access to a wide variety of local facilities including town centre shopping and train station. Representing an excellent opportunity to purchase within a much admired development the agents advise early viewing to avoid disappointment.